Hamilton May presents a commercial property with very large displays available for rent in a prestigious townhouse on Wiejska street. Hamilton May presents a freshly finished apartment available for rent in a prestigious location in Śródmieście. Hamilton May presents a commercial space with large displays offered for rent. Hamilton May is pleased to present a property located in one of the most prestigious developments in Warsaw. Hamilton May is pleased to present an exclusive commercial property available for rent by the Konstytucji square - perfect for any catering business. Hamilton May presents a commercial property offered for rent in a detached building. Monthly rent and contrac conditions to negotiate. Hamilton May presents a ground floor commercial property with large utility area, situated on the border of the Old and New Wilanów. Hamilton May presents a comfortable property in the developer's standard with a terrace in the prestigious investment by the Morskie Oko park. The property is ideal for a high class service operation. Hamilton May presents a comfortable property in the developer's standard, in a prestigious investment by the Morskie Oko park. The property is ideal for a prestigious enterprise. 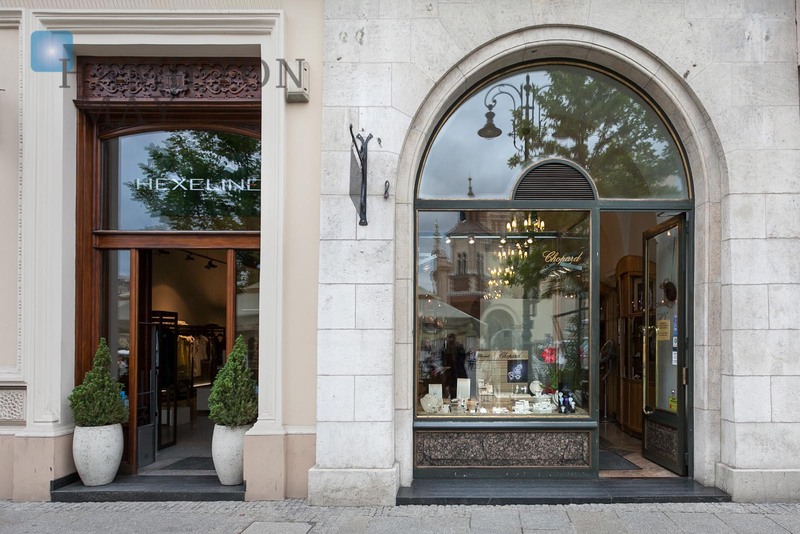 Hamilton May specializes in the offer of shops and retail spaces for rent in Warsaw, mainly in central areas of the city. We are pleased to offer a selection of up to date shop and retail space rental listings in Warsaw. Warsaw is a center of commercial and business activity in Poland, with average pay at the highest level in Poland - logically, it is also home to best shops and services. The market is very much differentiated, as numerous shopping centers are placed all around the City but in the city center some of the most expensive and prestigious shops can be found. Most of shops and retail spaces are located in modern shopping centers, that have appeared not only in the very city center but also in different regions. At the same time there are some retail spaces available in older buildings - ones from communist times but also in old tenament houses. This kind of office space also can be found through out the whole city. Pricing of shop and retail spaces office spaces depends very much on location, standard and prestige of the building. The prices in new buildings in city center, especially in most famous shopping areas (like Mokotowska street) can reach level of 400-500 PLN per square meter. The standard price in a centrally located retail space is approx. 150-200 PLN per square meter.